Dhaka, 3 September, Abnews: Flash floods and landslides triggered by incessant rainfall in Vietnam's northern and central regions over the past few days have killed 13 people and left three missing, the country's Central Steering Committee for Natural Disaster Prevention and Control said on Monday. As of Monday morning, floods claimed nine lives and left three people missing in central Thanh Hoa province. 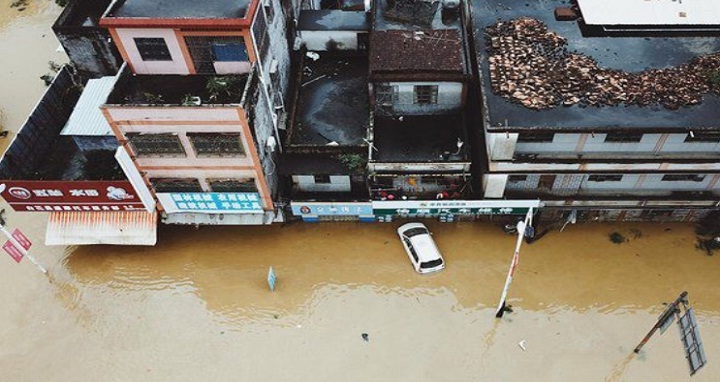 Meanwhile, floods and landslides killed one person each of the four northernprovinces of Hoa Binh, Yen Bai, Son La and Lang Son, Xinhua news agency reported. The floods and landslides also destroyed 364 houses, damaged over 6,523 hectares of rice and other crops, killed 512 cattle and 56,367 fowls, and damaged 963 hectares of aquaculture ponds, 620 meters of dikes and 6,174 meters of canals, said the committee.